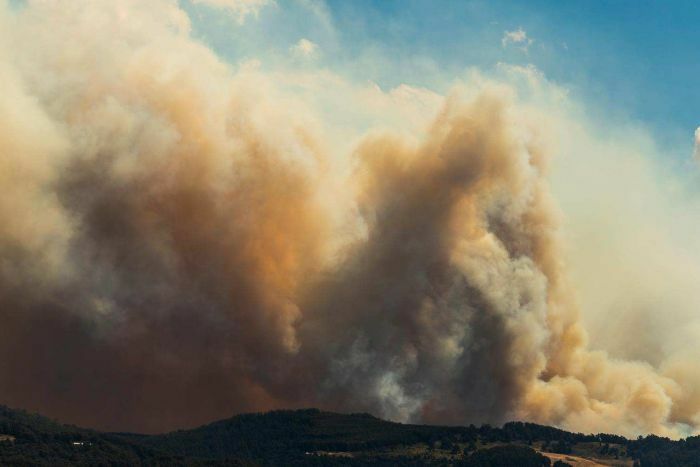 People in emergency bushfire warning areas in Tasmania's south have been issued a "blunt message" to leave their homes now, with fears the Huon Highway may be cut in both directions south of Huonville. 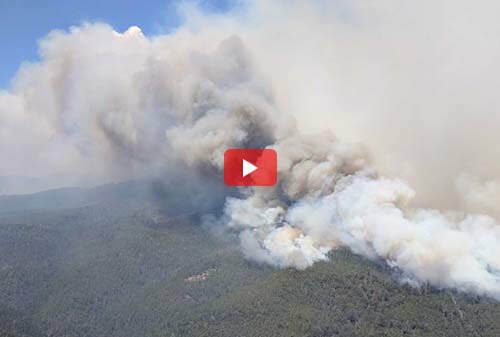 Tasmania Fire Service (TFS) district officer, Andrew McGuinness, said it was "highly likely" a fire burning in the state's south would impact the highway late on Tuesday afternoon, 29 January 2019 and into the evening. 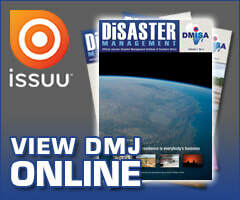 "If that's the case people will not be able to get in or out south of Huonville," he said. "So that's basically going to isolate that entire area." At 18h00 AEDT, there were 12 emergency warnings in place across the state, nine for areas south of Hobart and three for the Central Plateau. Three homes on Frypan and Bermuda roads have already been lost to the blaze. McGuinness said the homes were not defendable and the decision for the residents to leave early "undoubtedly saved their lives". Earlier on Tuesday afternoon, the TFS said the fire had run out of bushland and started impacting Castle Forbes Bay, with fire fighters working to defend properties on Braeside Road. The TFS has now declared a total fire ban from 2h00 Wednesday to 2h00 Thursday for municipalities in the southern and northern regions. 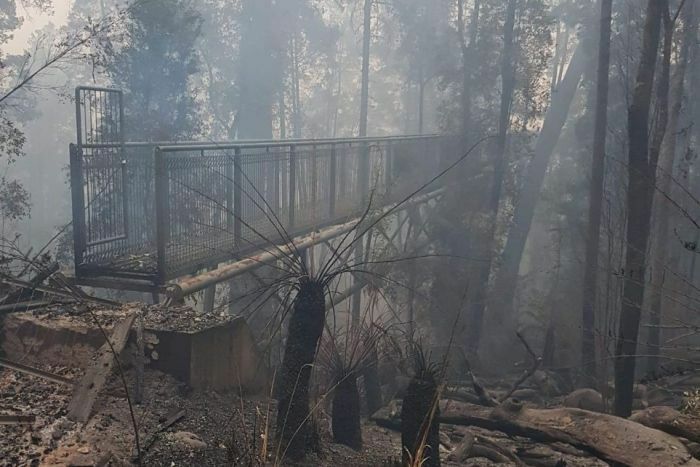 Photos have also been released of damage to the Tahune Airwalk tourist attraction, with the fire service confirming that although the visitor centre was saved, timber boardwalks and "display areas" had been lost. McGuinness said Wednesday’s conditions "will be much worse that today's", and people needed to decide what they're going to do by tonight. "Any fire that is uncontrolled today won't be controlled tomorrow," he said. 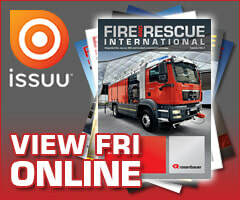 "Fire fighters will really struggle to protect property, even the best prepared properties." 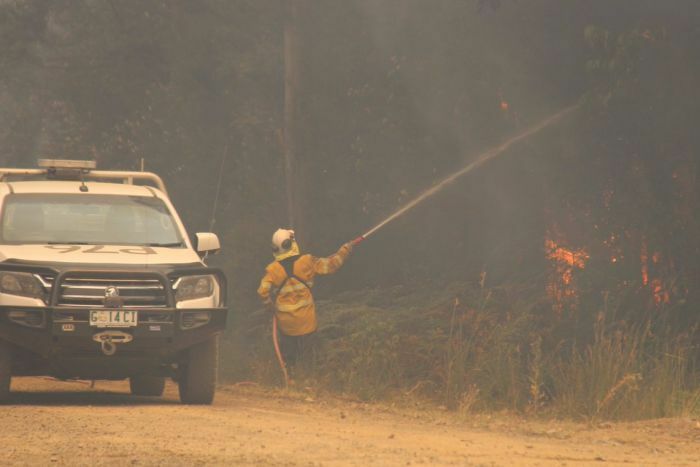 McGuinness also said fire fighters in the Central Plateau would be fighting an uphill battle to contain that blaze on Wednesday, with hot and windy conditions continuing. Huon Valley Mayor, Bec Enders, said 160 people stayed at the evacuation centre on Monday night, with a further almost 80 people staying in tents and 28 in camper trailers around the centre. Julia and Nicole Parbs fled Glen Huon after receiving a phone call from authorities. "We got everything we needed and left," Parbs said. "I'm a bit nervous about it but what can we do, just grin and bear it. It's all we can do." Franklin resident Tony Cohen said there was a lot of uncertainty and he did not know when he would be able to go home. "We don't know what's going to happen, we really don't know," he said. Peter Confeggi was restoring a small cottage in Franklin ready to retire and he said he evacuated because he could not bear to watch it burn down. "I'm very nervous. I made the decision yesterday that I'm not mentally fit enough to see the first home I've had in my life destroyed, so I needed to get out,"
Councillor Enders said people were leaning on each other while they waited to hear if their properties have survived the flames. "People are anxious, they're responding differently, some are emotional but when they are they're pulling themselves back pretty quickly and you can see that they want to come back to a resilient position," she said. Enders said a revolving door of volunteers from the council and charity organisations has kept all the evacuees fed, with cooking production lines feeding hundreds of people every evening. "They did a roast last night for 500 people!"